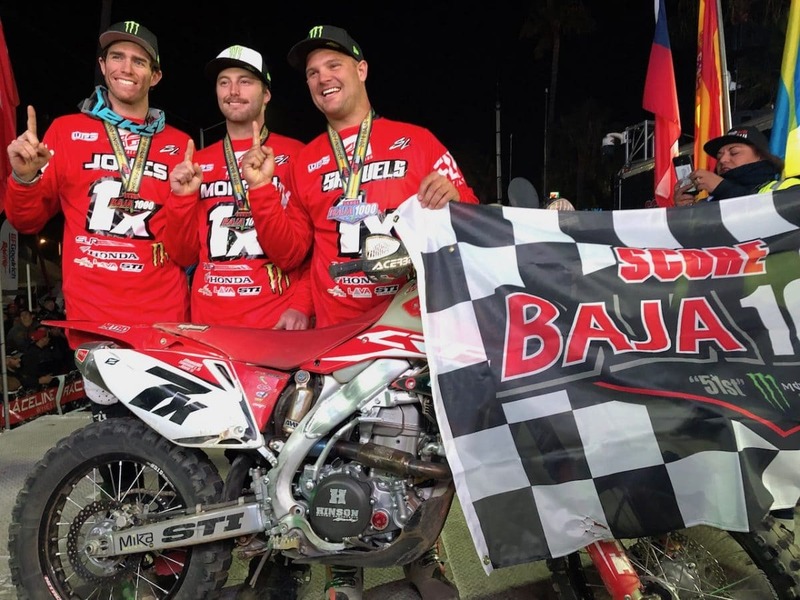 Leading every mile of the famed Baja 1000 is what dreams are made of. The SLR Honda CRF450X team of Justin Morgan, Mark Samuels and Justin Jones did just that. Being the first machine off the line helped. 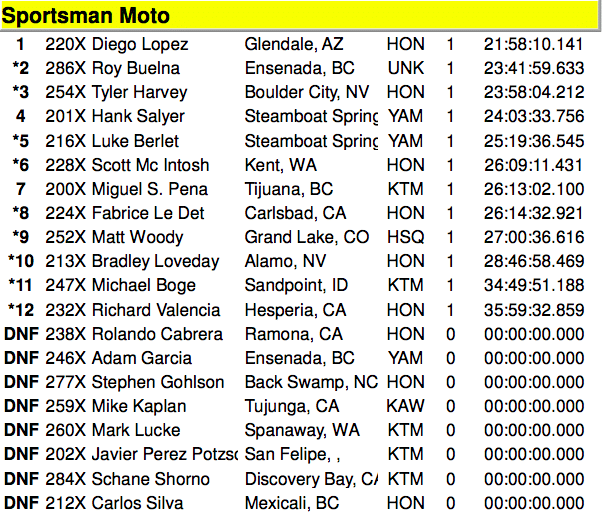 The SLR Honda team battled with the 66X KTM of Santiago Creel for about half the race before pulling away for the win. 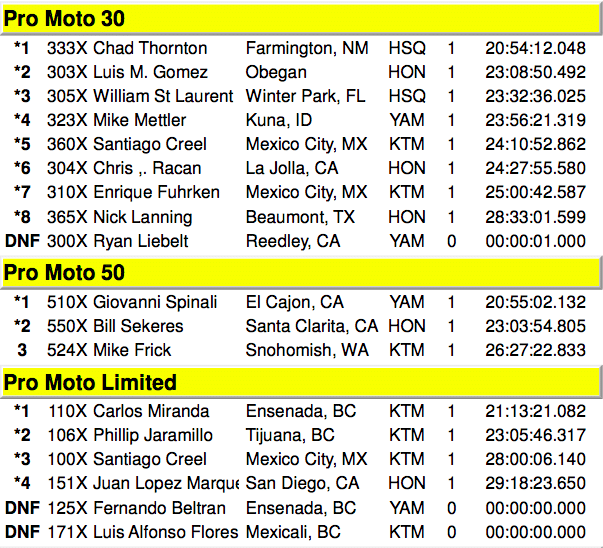 Creel’s 66X machine would eventually make it to the finish line 3rd in Pro Moto Unlimited class and the 1X Honda of Shane Esposito is credited with 2nd in the class. The * next to the name indicates penalties have been applied.